A blessed and humble man of God who was called and lived in holiness, Bro. Otis Collins Garmon was baptized in Jesus name and received the Holy Ghost in 1930. With an uncompromised vision and belief in the word of God he lived a Godly life that would bless thousands to trust and believe in the almighty God. Bro. O.C. Garmon was called to the ministry in 1931. Pastor O.C. Garmon was a member of the very first Pentecostal Apostolic Church in Gary, IN. Pastor Garmon felt the leading of the Lord and began a ministry of his own on January 27, 1935 with the blessing of his spiritual father and pastor, Elder Ike Hammons. 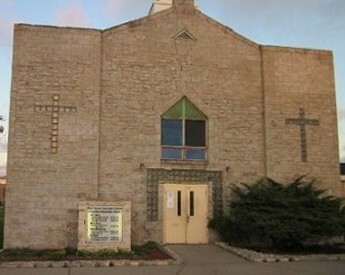 Zion Temple Apostolic Church was established with five members on 2600 Polk Street. In 1936, the church moved to 5141 Adams Street. The congregation continued to grow, especially during the years of the depression. During that time of depression, Bishop Garmon taught bible class everyday while many people were out of work. In 1941 the Zion Temple Apostolic Church building caught fire and the congregation was forced to move. The church moved to the basement of the pastor's home at 2053 Pennsylvania Street. In 1949, nearing the end of the depression Pastor O.C. Garmon bought and remodeled a store front at 1625 Washington St. As the congregation continued to grow with gifted and talented members, the pastor and brothers increased the size of the church by adding more rooms and a garage. In 1952, the Lord moved upon the heart of Pastor Garmon again to begin a radio broadcast. This ministry was an excellent outreach for winning souls which caused the membership to grow greatly and finances to increase. The need for a larger church was without question. IN 1958, the members of Zion helped to construct a brand new edifice at 1525 Jefferson Street. Zion Temple Apostolic Church has been standing in this same location for over fifty one years and is said to be a saving station for the lost. Bishop O.C. Garmon, the founder of Zion Temple Apostolic Church was called from labor to reward in 1991. The church that God had started did not cease to continue, but the mantel was passed on. God moved upon the heart of another blessed and humble man of God, Sfgn. Bishop Donsero Reynolds, a powerful man of God and dynamic leader. The anointing upon his life truly depicts the compassion for preparing this generation for kingdom building. This mandate and assignment of this man of God is to minister, teach, and train up this generation to know what the will and plan of God is for their lives. This is not an assignment taken lightly, but with great fervor and the refusal to compromise the word, work, and will of God. Under the pasturage of Sfgn. Bishop Reynolds the membership continues to grow and goal remains the same; obtaining the KINGDOM OF GOD through the BAPTISM IN JESUS' NAME and RECEIVING THE HOLY GHOST!! !